The German-Ukrainian Food Forum took place in Berlin and Hamburg on 7 and 8 July 2016. The Forum was organized within the framework of the project Agritrade Ukraine with support from the Federal Ministry of Food and Agriculture. The goal of the event was to inform the representatives of Ukrainian small and medium-sized enterprises about the Free Trade Zone, export opportunities to the EU, to make contacts with representatives of German retail, to learn about the products and main logistic strategies in one of the biggest German ports, the Port of Hamburg. All the participants also had the opportunity to talk personaly to the potential partners and to present their products. The first part of the forum took place in the Embassy of Ukraine in Berlin where the counsellor of embassy Oksana Kozlovska as well as the German experts Andre Pilling (Eco Viva) and Wolfram Rehbock (REHBOCK&FRIENDS) were given a word. The main topics of the first day were the DCFTA principles, Ukrainian potential at the European market and requirements for the successfull distribution of the products at the German market. The second day of the forum was held in Hamburg with the representatives of the Ukrainian companies visiting the container terminal at the Port of Hamburg, taking part in the forum of the Hamburg Chamber of Commerce, where the Consul General of Ukraine in Hamburg Oksana Tarasyuk, Corinna Nienstedt, chief of the Chamber of Commerce were present. The participants also had the possibilty to look over the facilities of one of the biggest supermarket chains "Edeka" and to visit the Hamburg Rathaus. 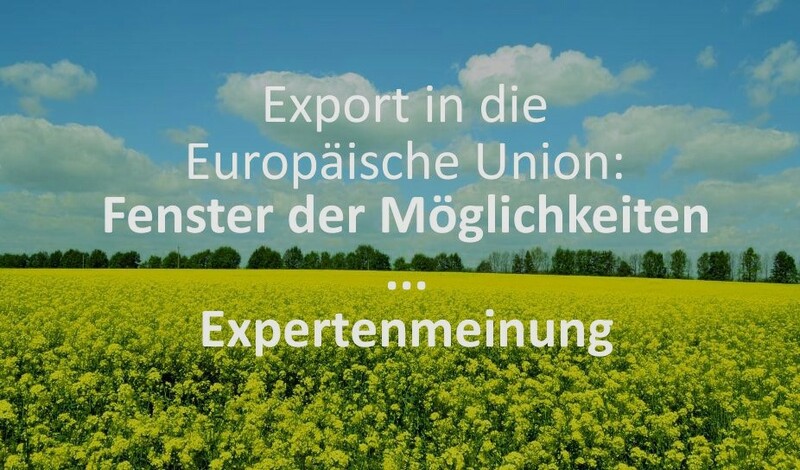 The German-Ukrainian Food Forum is the first among the events planned by the project Agritrade Ukraine and is also a step for stronger and more stable relations between Ukraine and Germany.